With its state-of-the-art technology, robust engine choices, roomy and refined interior and impressive utility, the all-new F-PACE crossover SUV has the performance for every road and the capacity for every day. It combines the legendary performance, handling and luxury that’s inherent in the Jaguar DNA, with the added benefit of practicality and space. A major competitor of the F-PACE is excepted to be the Porsche Macan. 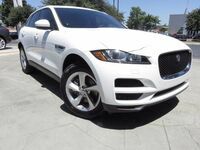 Take a look at this 2017 Jaguar F-PACE vs 2016 Porsche Macan comparison to see how these high-performance crossover SUVs stack up. In terms of price, the 2017 F-PACE offers a considerably more affordable option, with a base MSRP of $40,990, compared to $54,400 for the 2016 Macan. 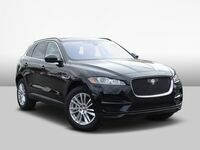 Even with the lower price, the F-PACE still offers the unmistakable Jaguar luxury and sophistication. An extensive range of premium materials, supple leathers and sophisticated finishes give the F-PACE a comprehensive interior selection. 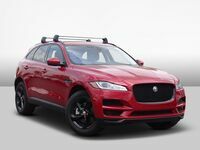 Key technological features include a 8-inch touchscreen, navigation guidance, Bluetooth phone connectivity, integrated text-to-voice, precise climate control and Jaguar InControl Apps. The new F-PACE also comes with the superb Meridian Sound System, which uses innovative audio technology and precise speaker placement to give perfectly optimized sound quality. 5,290 lbs. Towing Capacity 1,653 lbs. an easy-clean, rubberized surface, which is perfect for damp or muddy equipment. The 2017 F-PACE offers the advantage for safety as well. Driver assistance features include Lane Keep Assist, Blind Spot Monitor with Closing Vehicle Sensing, Adaptive Cruise Control with Queue Assist and available Traffic Sign Recognition with Intelligent Speed Limiter. Also, the F-PACE's available Autonomous Emergency Braking system utilizes a forward facing camera to watch for a potential collision. If one is detected, the F-PACE gives an audible forward collision warning. If no action is taken, with a collision still anticipated, the system is designed to apply the brakes to help reduce the severity of a possible impact. 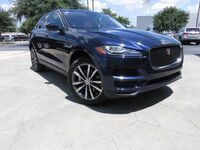 If you live in San Antonio, Boerne, Schertz, New Braunfels or anywhere else in Bexar County and would like to get behind the wheel of the 2017 Jaguar F-PACE, then don't hesitate to contact us at Barrett Jaguar.